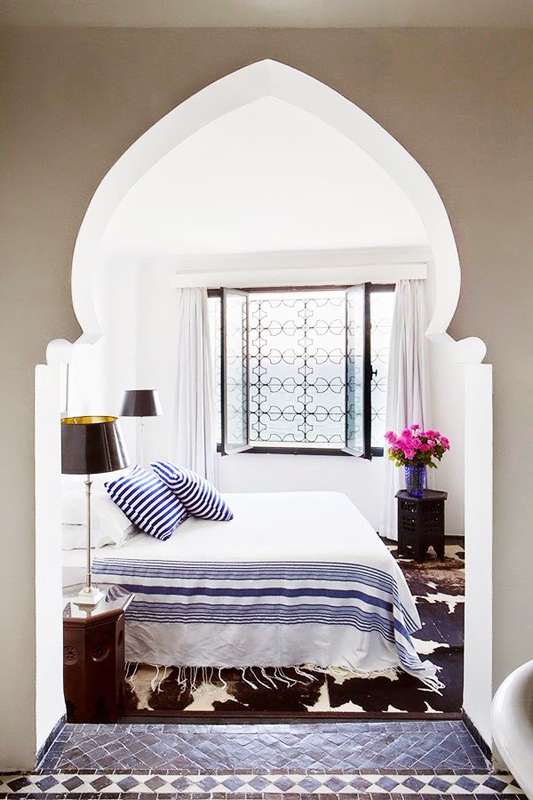 Mix and Chic: Home tour- A gorgeous Moroccan home! 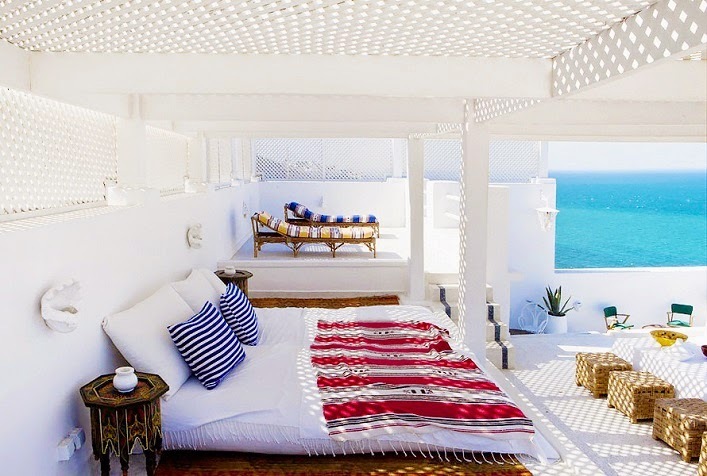 My lovelies, be inspired by this gorgeous seaside Moroccan home below! This home is the ideal getaway, don't you think? 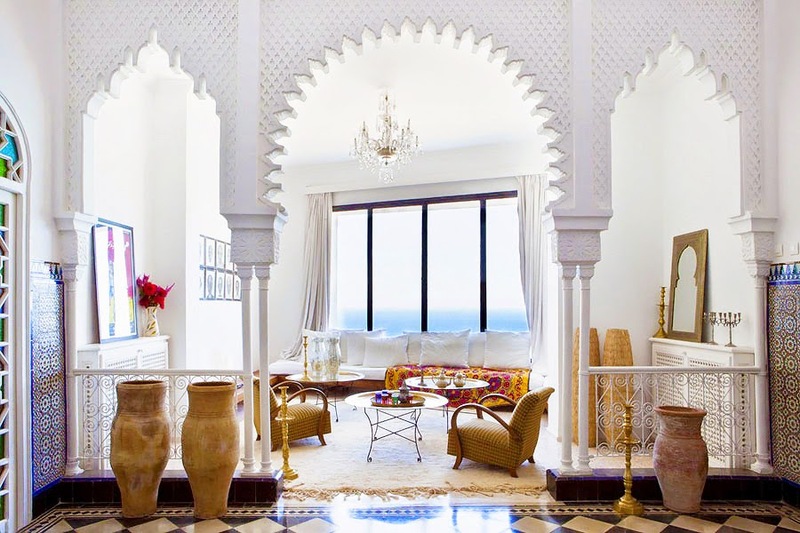 I am obsessed with those beautiful architectural details particularly the stunning arches. I am also in love with the tall ceilings and refreshing color scheme. My favorite room? 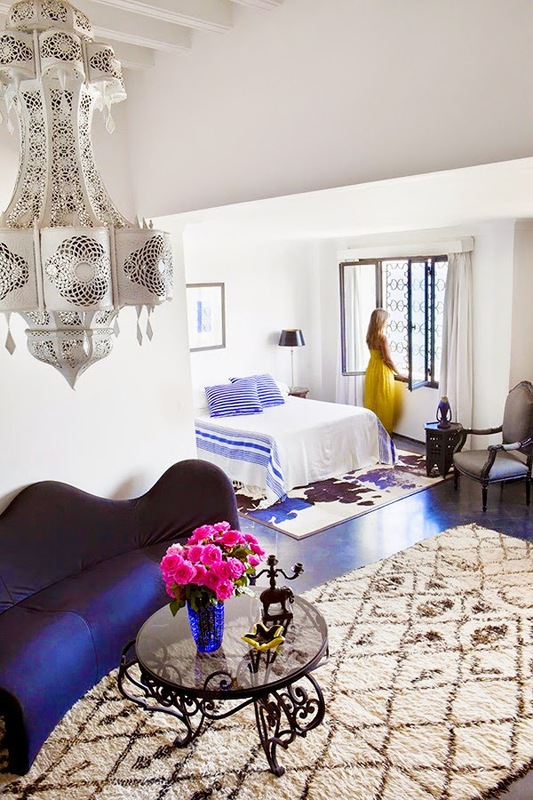 The two effortlessly chic bedrooms! Do you enjoy this delightful home tour as much as I do? Wow this is gorgeous!! 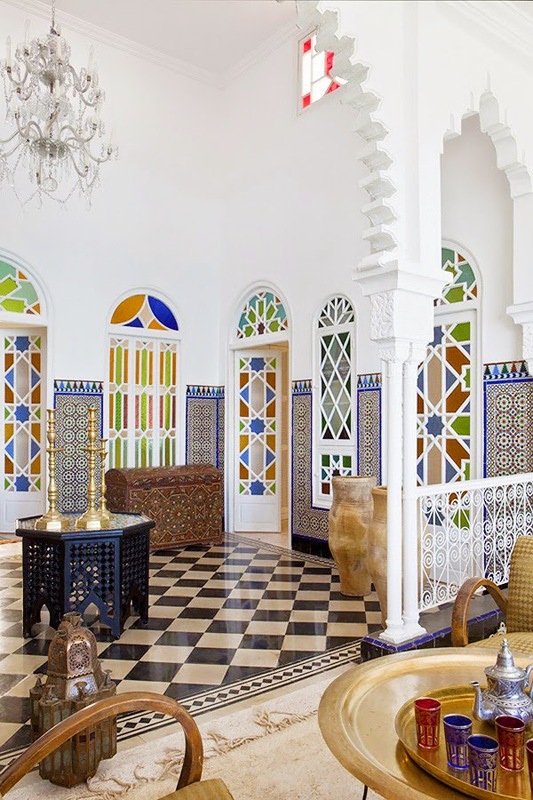 My favorite part too is all the amazing archways between rooms. And the lounge area with the ocean views is absolutely to die for! Yes, that outdoor area is my dream getaway!! WOW! Absolutely stunning! Oh Yes! its like living in a resort! 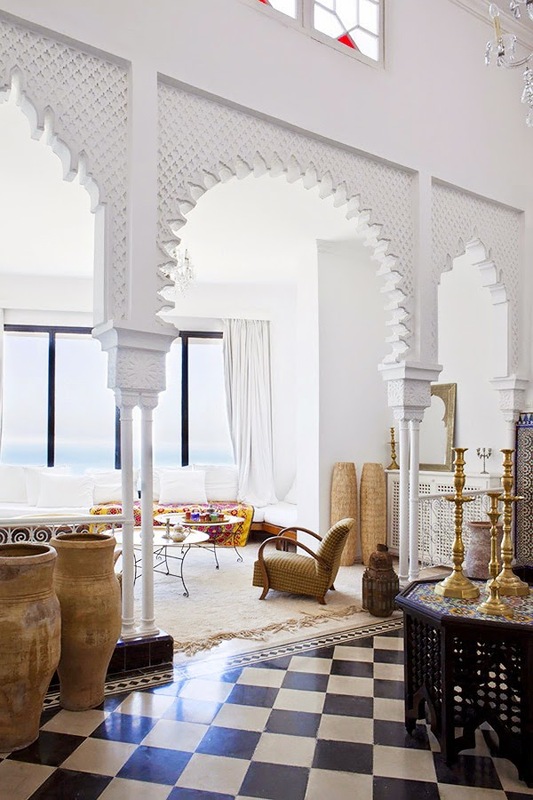 I really like it…the high ceilings, the arches, the pattern, the open, airy feel….a brilliant home.